As should be no surprise to readers of our site, Projects Watches creates watches that are driven first and foremost by design. These are not the watches you’ll see in the local mall that many will dismiss as “fashion” watches. No, these are watches that pull designers in from other industries and give things an interesting look. Until recently, I was not aware that they started collaborating with M&Co – a design shop of some reknown – back in 2005. 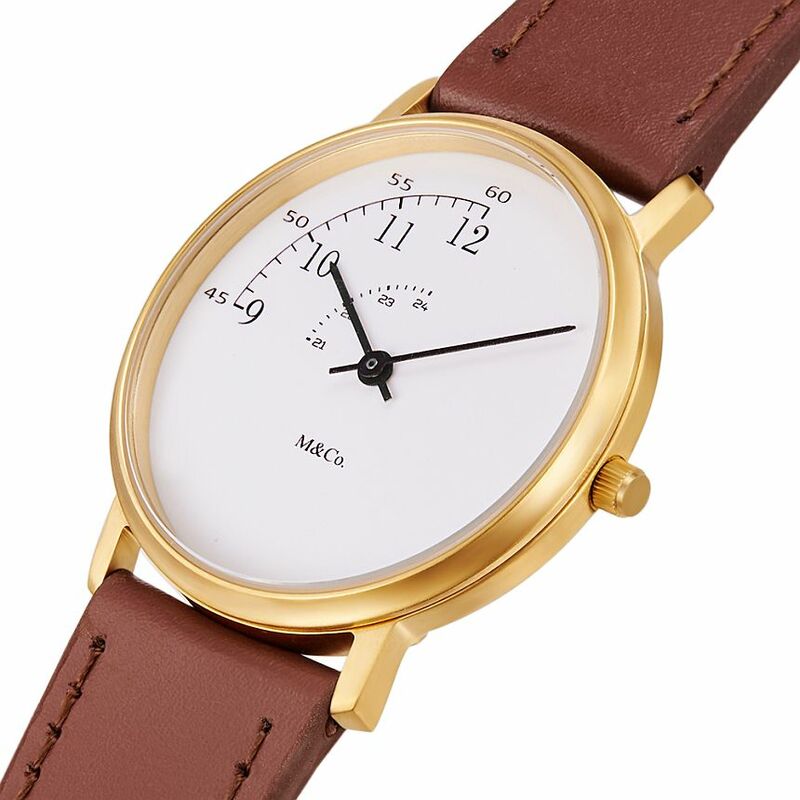 Drawing on that relationship, Projects Watches is reintroducing the M&Co PIE Brass Watch. 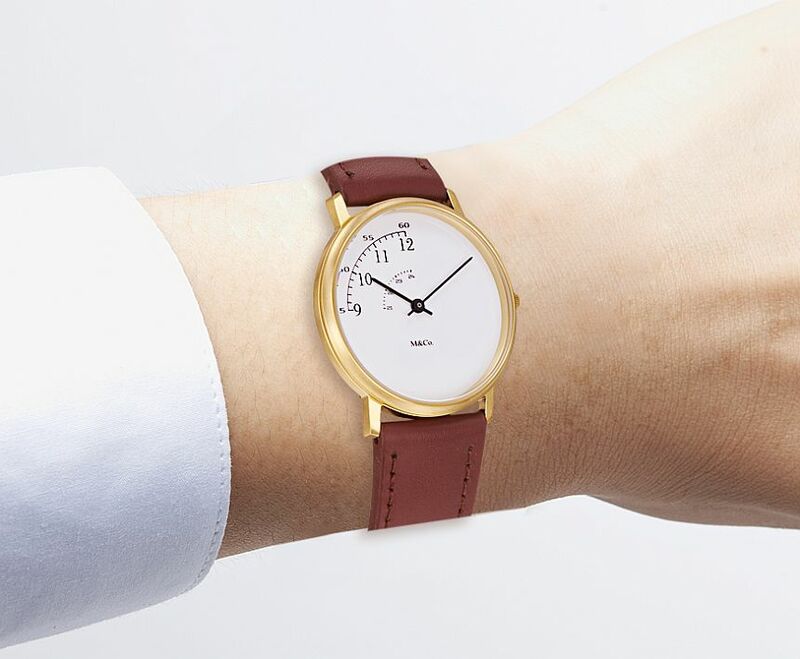 Now, this watch was first introduced in 1984, and has been out of production since then. So, if you have seen one of these before, you have quite an original piece. For the rest of us, you now have the opportunity to get yourself the re-issue. 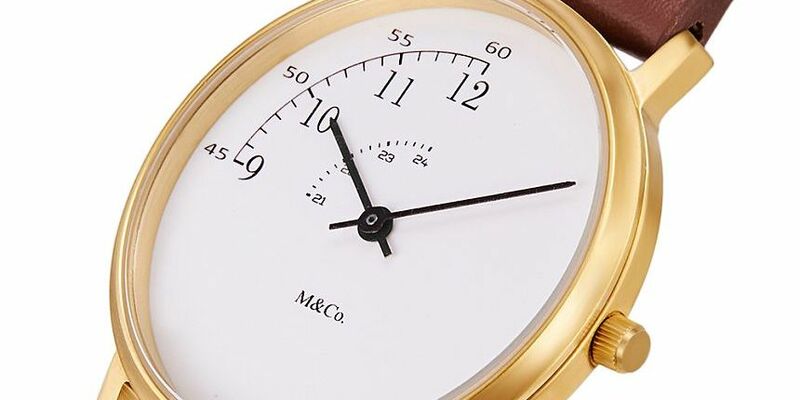 Along with bringing along an older design style (more on that in a minute), it also hearkens back to case sizes of days gone by, with a diameter of 33mm, and a height of under 7mm. 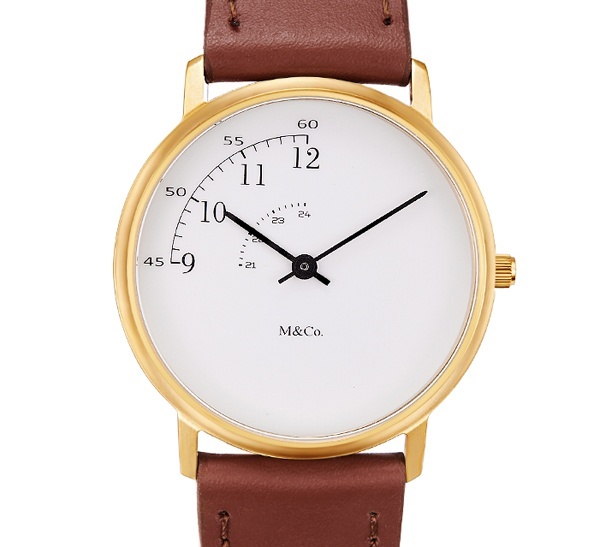 So, whether you have a smaller wrist or just prefer smaller watches, the M&Co PIE Brass Watch could be of interest. For me, the interest comes from the dial design. This is where the Pie part of the name comes from, with a pie-shaped wedge being the only printed part of the dial. You have the slice going from 9 to 12 (which also gives you the 45-60 on the minute scale and 21-24 on the 24h scale). Whether the desiger, Tibor Kalman, felt these were the best hours of the day or just a good spot for the wedge to be, I cannot say – but it certainly is striking. What spoke to me the most about this watch: They had me at Pie.